The lightest colour is Ting, a light cream colour, which on paler skin tones is great for a neutral base tone for eyes. I love it above the socket line to make sure everything is blended and the eye lifted. Maowi (light grey) and Pom Pom (beige/brown) can be used for anything from socket definition to brows and contouring. And combined with Ting can make a very cool, basic smokey defined eye. 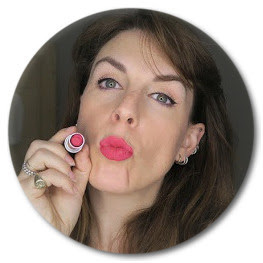 A mix of the first three colours (for me it's Ting and Maowi) is a fantastic wash over the eye lid for no make-up make-up. I've swatched the colours below. I used a cotton bud so you get as clean a stripe as possible. I'm not great at swatching, I've got a lot on, I just want you to be able to see the colours. You may think that all black eye shadows are the same but there you are wrong - Black Bear is without question the blackest shadow I have ever used. Even now, if I don't have this palette to hand and I use a different one the black just isn't black enough. I use this pretty much every day over the top of any liner just to soften and smoke it a bit. You can also use it wet to get a more precise flick. I don't even know if I can find the words to describe my love of Sislet a colour that I thought I would never use when I first saw this palette and probably why I didn't buy it for so long. 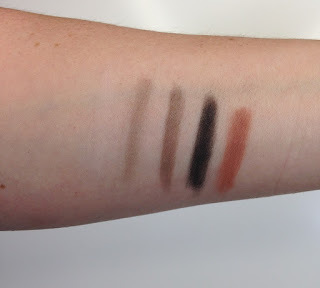 I try a lot of eye shadows from high end to high street and often they seem ok but they just need a little something. They often need a bit of warmth adding to them. Every time I've had this problem I now fix it with this beautiful terracotta warm brown colour. It makes blue and green eyes 'pop' and even a tiny amount blended through the socket adds a warmth and dimension that makes all the difference. Every time I use this, which is often, I get a comment on how nice it looks and I always think to myself 'ahhhhh it's the Sislet effect'. I've searched for a dupe for this and have yet to find one. I use it in the outer corner either on it's own or with any shimmer over the top. 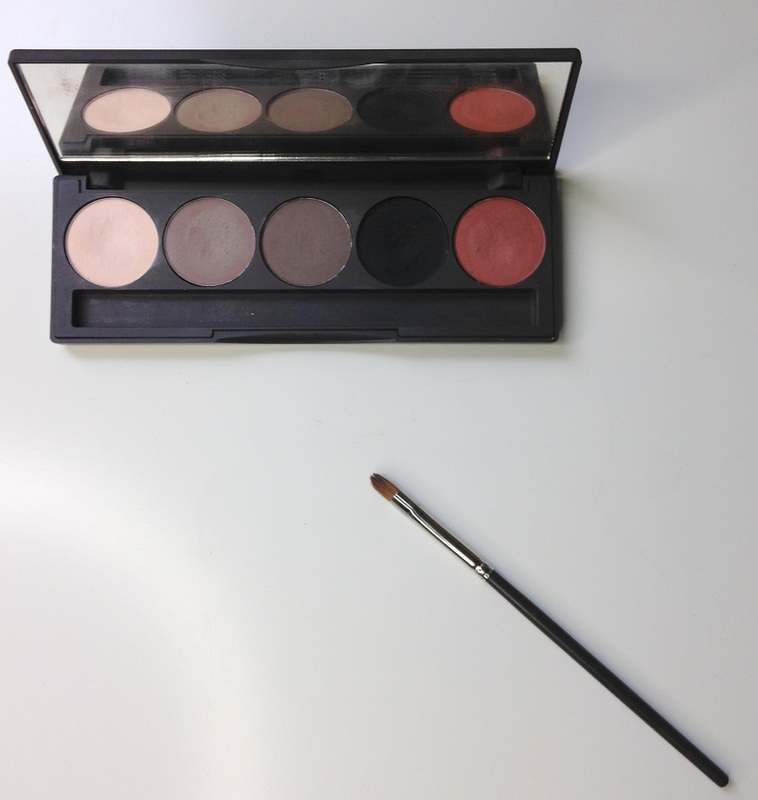 It blends so beautifully that you can add it on top of other shadows and it works beautifully. The packaging is also fantastic. Slimline with a great mirror and usable sable brush. Nothing is excessive and it's lightweight and easy to transport. The brush and the palette are easy to clean so great in a pro kit. The only thing I would say is that there is some drop down with the black but tap the brush and that's that problem solved. I've said it before and I'll say it again, some of my favourite eye shadows have drop down, tap your brush, use a primer and you are good to go. As long as they look great and are long lasting I can totally deal with the drop down. My only reason for mentioning it is I worry if I don't point out one failing you won't believe how good it is. It's good. Have you got that? If you are reading this in August 2016 you can enter my competition to win one of these palettes.